We buy houses fast and with cash anywhere in Paisley and surrounding areas. 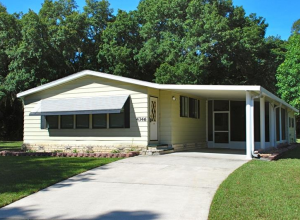 We buy ugly houses and mobile homes too – from Umatilla to Deland – in any price range! Learn more about our quick and easy process. We’re ready to give you a fast, all-cash offer for your house. If you want to sell your Paisley house, we’re ready to give you a fair, all-cash offer! 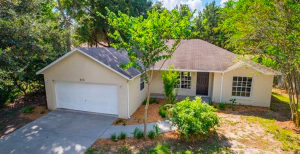 We buy houses all over Paisley and the surrounding area, even as far as Deland and Volusia County. We have cash and we’re able to buy your property fast. We’ll even pay all closing costs and allow you to close on the date you choose. Stop dealing with the frustrations of a problem house. Let us buy your Florida house now, regardless of its condition or location. We have cash and we’re ready to buy your house now – no repairs or cleaning needed! Are you trying to avoid foreclosure? Are you facing divorce? Moving and need to sell quickly? Have liens? Problem tenants? 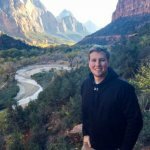 Inherited a house? Tired of living so close to the forest? Whether you live in the house or you’re renting it out – whether it’s vacant or not even livable – it doesn’t matter! We help local homeowners who have inherited an unwanted property, own a vacant house, are behind on payments, owe liens, or are behind on property taxes or HOA payments – even if the house needs repairs that you can’t pay for! And yes, even if the house has fire damage or has bad tenants that need to be evicted. We can handle it. To put it simply, if you have a house and need to sell it, we’d like to make you a fair, fast, all-cash offer and close on the day you choose. And as a bonus, we’ll pay all of your closing costs! Do you need to sell your house fast in Paisley? All that hassle can add stress, time, and expense to the process. And in the end, you may or may not be ahead of the game after paying the real estate agent’s expensive fees. We’re different! We don’t want to list your house for sale – we want to buy your house outright! Reach out to us today. We’ll know very quickly if we can help you, and if we can’t, we’ll point you in the right direction. And since we buy houses with cash, you don’t have to wait to see if the buyer can get financing. With us, there is no bank red tape or waiting period! We have cash and we’re ready to buy right now! We help homeowners just like you, in all different situations. From divorce, foreclosure, probate, bad tenants, or anything else. We buy houses in Paisley and the surrounding area and pay a fair, all-cash price – fast! Not everyone has the time to do all of the things that typically need to be done to prepare a house to sell on the market. If that describes you, just let us know about the house you’d like to get rid of and sell your house fast for cash. 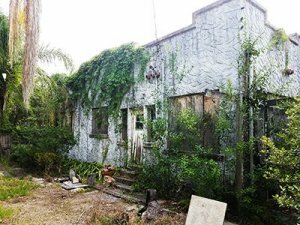 Paisley is an unincorporated community in Lake County, FL with a population of approximately 734. It encompasses an area of 3.4 square miles and was named after Paisley in Scotland. Flora Call and Elias Disney married in 1888 in the nearby town of Kismet and lived in Acron near present day Paisley. They were the parents of Walt Disney. Charles and Henrietta Call, the parents of Flora Call and Grandparents of Walt Disney, are buried in the Ponceanna Cemetery of Paisley. The zip code of Paisley is 32767. 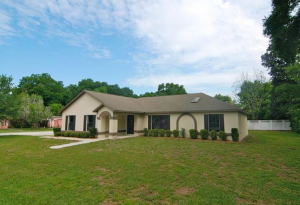 I Can’t Sell My House In Paisley Florida… Help! How Much Will Listing Your House Really Cost in Paisley? Is Hiring An Agent in Paisley REALLY Worth It? How to Determine If A Direct Sale of Your Paisley House is Right For You!